As we near the end of the year, most of us are likely to have a social event coming up where we want to look our best. Whether it’s a holiday party, reunion, awards ceremony, weddings, anniversaries, or other social gathering, chances are you want to make a good and lasting impression on others at the event. If you’re looking into the possibility of cosmetic surgery, you may have realized there just is not enough time between now and your social event for you to fully recover and enjoy the benefits. In response to this, Dr. Petti has developed a unique formula and series of her specifically designed dermal filler techniques that she terms the “emergency facelift,” which are perfect for these treasured events. 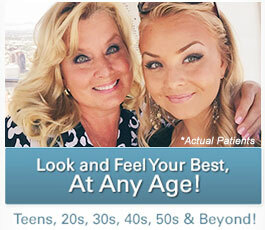 With a combination of nonsurgical procedures, Dr. Petti can help you look your best in a short amount of time. Using a variety of dermal fillers (Juvéderm® VOLUMA®, Juvéderm®, Radiesse®, Sculptra®), BOTOX® Cosmetic, and skin tightening methods, Dr. Petti will customize a treatment to highlight your features. She has coined her specialized dermal filler techniques “3-D makeup,” because it accents and showcases your natural beauty similar to the way makeup does. The end result is a luminous, natural, refreshed, and rejuvenated appearance in as little as two weeks! Dr. Petti is a firm believer in these techniques and emphasizes that by naturally enhancing and accenting the face and restoring its divine, youthful fullness and proportions, she actually is “creating 3-D makeup.” The goal is for the patient to wear less makeup, since the face will look so good that it does not need to be draped in creams and powders, but rather be free to look its best without “traditional” makeup. Now the facial skin will have underlying support and natural fullness – making a “bare” statement of self-beauty. Dr. Petti’s beauty formula also includes the Clarisonic® Cleansing and Brightening Vibrating Brush and Red Carpet Kolour body bronzer to smooth and illuminate your face, neck, shoulders, arms, legs and buttocks, so you’ll look radiant from head to toe! 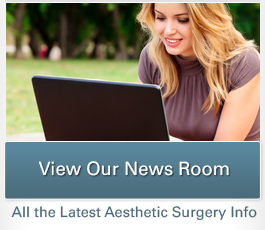 To learn more about how Dr. Petti performs the “emergency facelift”, please contact us today. Our helpful and knowledgeable staff is always happy to answer any questions, and they will help you to schedule a special consultation with Dr. Petti to discuss your concerns and desires. We all look forward to helping you shine and feel like a star at your next event!